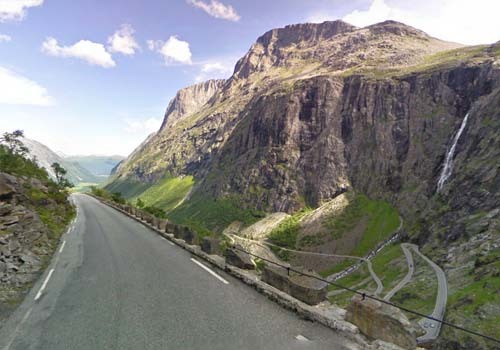 The Trollstigen Mountain Road is one of Norway’s most dramatic and most visited attractions. Trollstigen is located approximately 15 kilometres south of Åndalsnes in the county of Møre og Romsdal, north in Fjord Norway. The region centre is Molde (25,000 inhabitants), which is the largest town in the area. 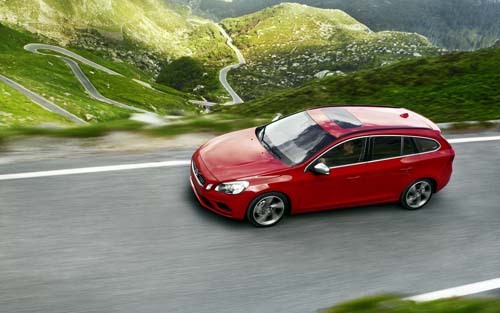 Trollstigen has a steep incline of 9 percent and consists of 11 hairpin bends up a steep mountainside. Encircling the road are lofty mountains. Names such as Kongen (the King), Dronningen (the Queen) and Bispen (the Bishop) confirm their majesty. The six-kilometre long Trollstigen Mountain Road is normally open from mid-May to sometime in October, depending on when the snow arrives and when it melts. The Trollstigen Mountain Road is part of RV 63 in Rauma in Romsdal, Møre og Romsdal. The road connects Åndalsnes and Romsdal with Valldal and Sunnmøre. Vehicles more than 12.4 metres long are not allowed on Trollstigen. Trollstigen was opened on 31 July 1936 by King Haakon VII. The road took eight years to build. Even today, the road is a good example of the art of engineering and construction. The old Kløvstien Track at Trollstigen has for hundreds of years been an important link between Romsdalen and Sunnmøre. The newly restored Kløvstien path is now a popular hiking goal. 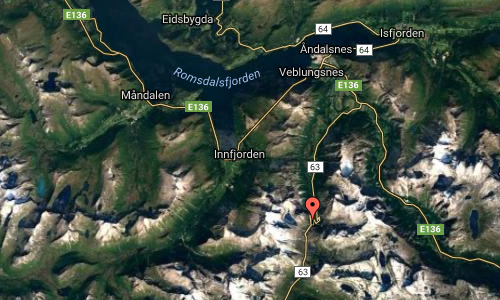 You can reach Trollstigen and Romsdal by car, it takes six hours from Oslo or four hours from Trondheim. From Oslo you drive up Gudbrandsdalen to Dombås, then down Lesja and Romsdal to Åndalsnes. 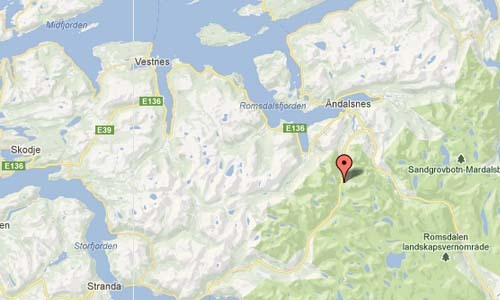 From Trondheim you drive via Dovrefjell to Dombås and down the same way via Romsdal to Åndalsnes.